Get your message to them sooner with this quick-ship calendar! 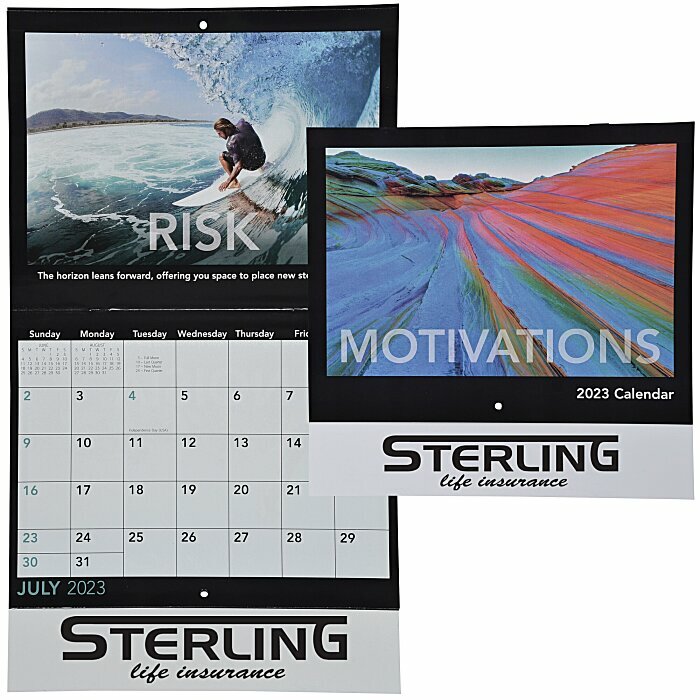 Staple-bound calendar features brilliant full-color photography and inspiring motivational messages. Each page displays the month prior and the month after for quick reference. Constructed from durable 60# gloss paper stock. Size, open: 18-1/4" x 10-1/2". For spiral-bound calendar, see item #8151-SPMotivations Calendar - Spiral. Orders must be received by 6 PM, CT, and artwork approved by 7 PM, CT, Monday-Friday (not including holidays). $40 service charge for rush processing will be added.